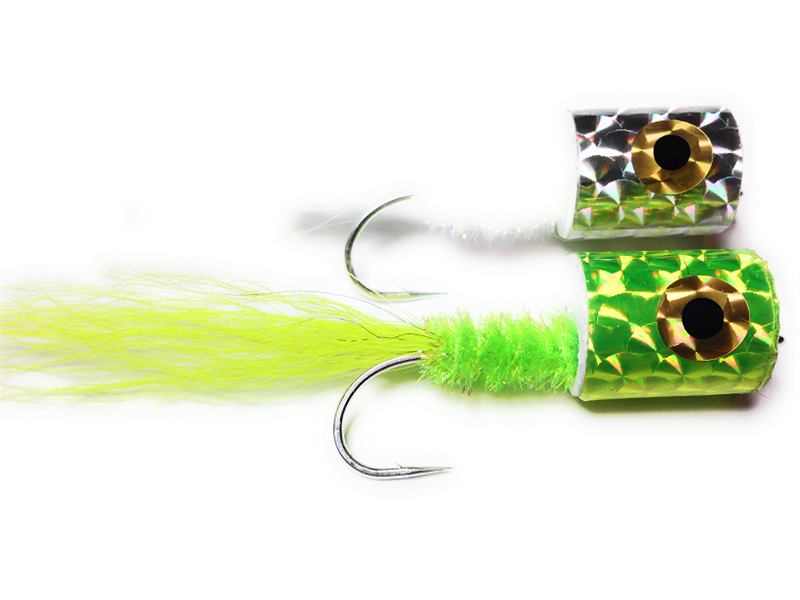 Popper Flies create splashes, pops, bubbles and exciting topwater action! 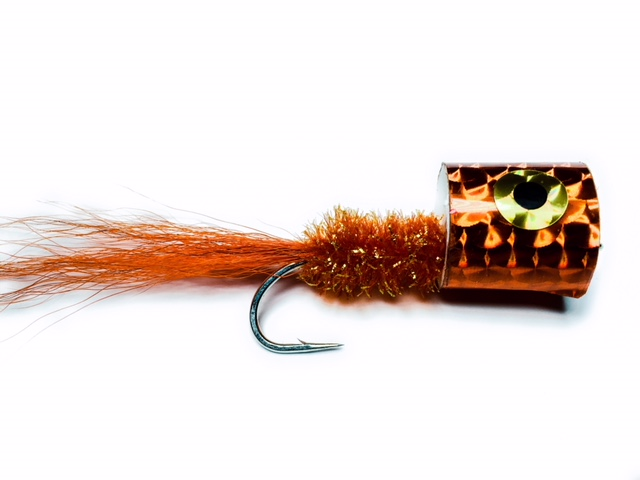 Merrimack River Flies ties this fly on a long shank saltwater hook and adds a bit of krystal flash to the tail to increase it's attractiveness. 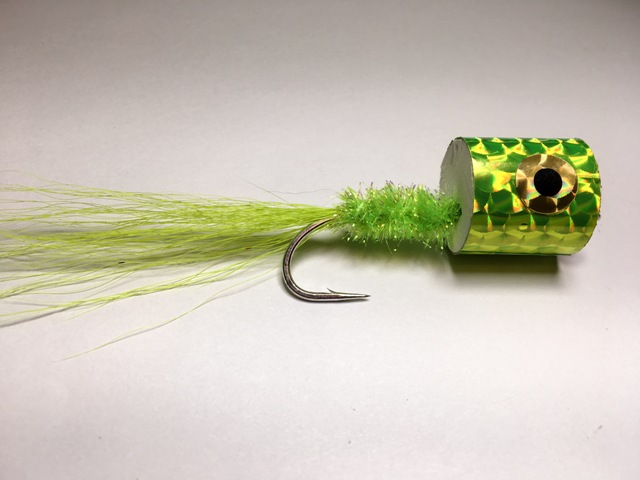 The 3/4″ soft popper head is more durable than traditional poppers because the foam yields to the bite of the bluefish — improving the durability of the fly. 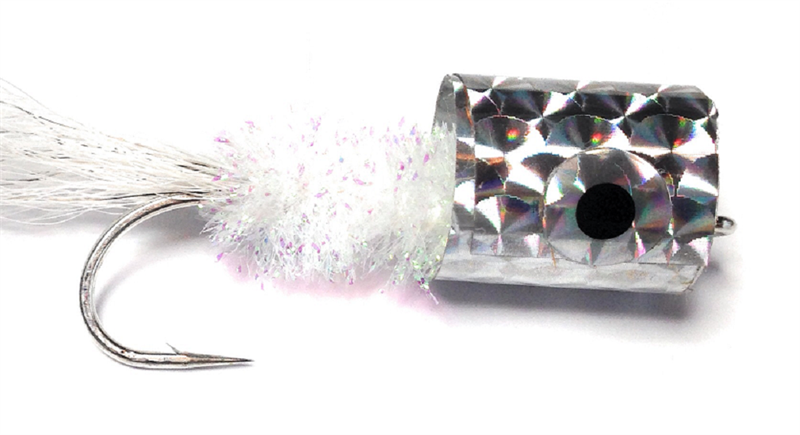 The foam popper head 'yields' to the bite and resists being chopped in half -- not indestructible, but more durable than cork or plastic bodies. 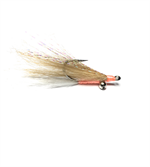 Fly length is between 4 1/2" to 5"